I have just finished reading “The Hawk and the Dove” trilogy by Penelope Wilcock. It is the story of a Benedictine monastery in the 13th century. A brother at Christ in the Desert thought I would enjoy it. What a great story, and it has made the time I have spent at The monastery even more meaningful. 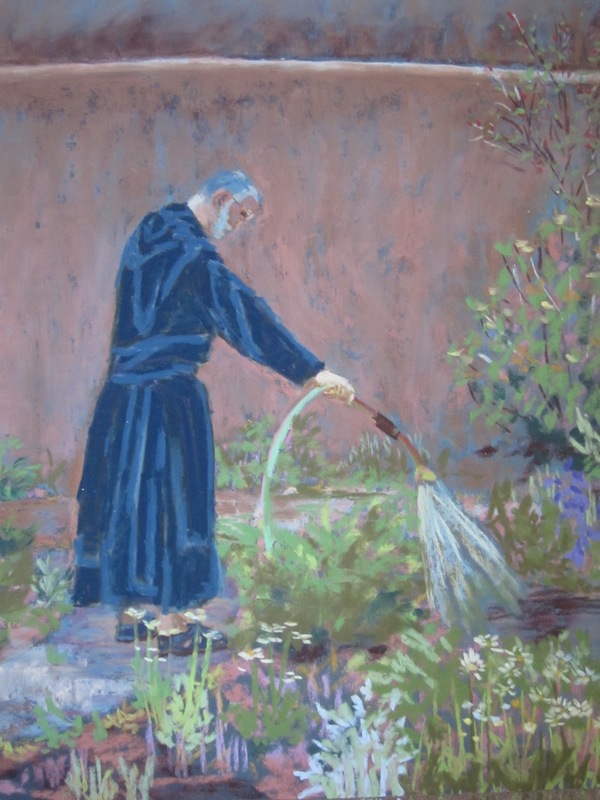 This is Brother James, watering the prayer garden.